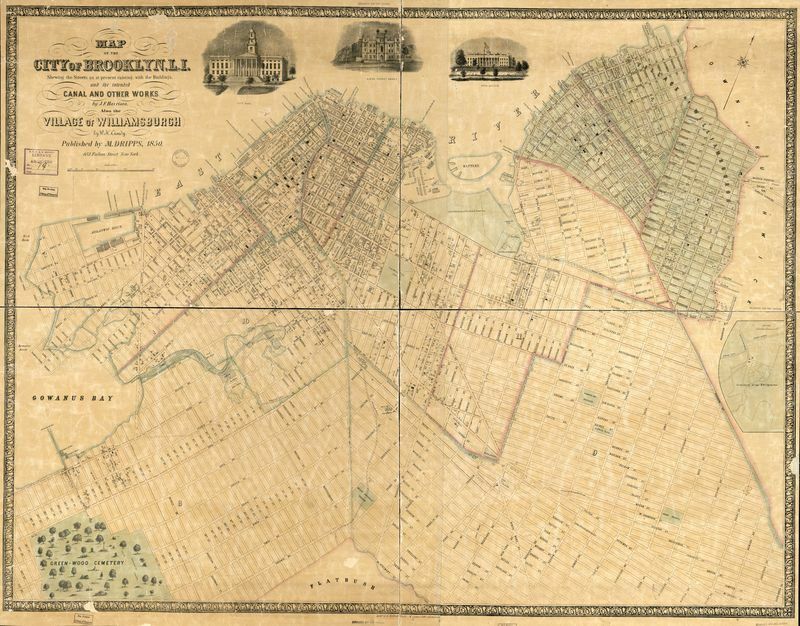 1850 Map of the City of Brooklyn by J. F Harrison, published by M. Dribbs. 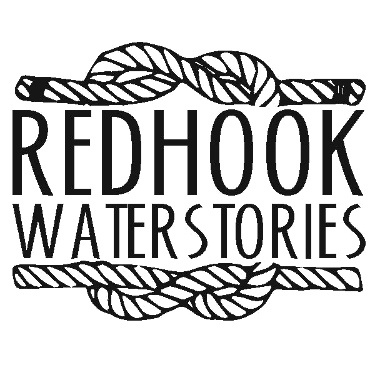 Atlantic Dock has been built by this time but Erie Basin had not and much of present day Red Hook is still under water. The companies listed at Atlantic Dock are: United States Warehouses, Verplank Crane and Co, Ransom & Spelman, Lambeer & Chadborn, as well as the Hamilton Avenue Ferry and the Atlantic Hotel. Harrison, John F, et al. 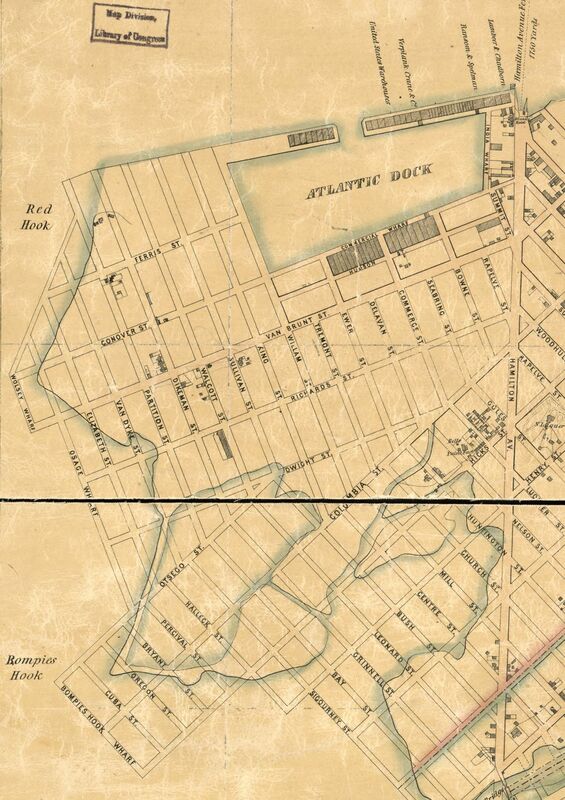 Map of the city of Brooklyn, L.I. : shewing the streets as at present existing with the buildings and the intended canal and other works: also the village of Williamsburgh. [New York: Published by M. Dripps, . Phil'a Philadelphia: Lith'y of A. Kellner: H. Camp's lith'c steam press, 1850] Map. Retrieved from the Library of Congress, www.loc.gov/item/2013593137/ (Accessed 2018). Credit: Library of Congress, Geography and Map Division.